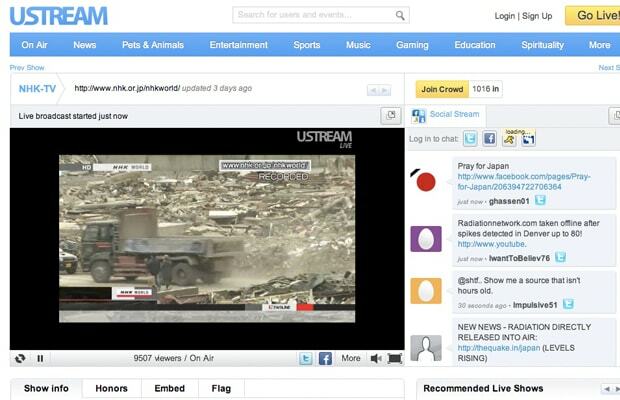 Anyone looking for live footage and round-the-clock coverage of the Japan disaster relief should jump on the live streaming website. Viewers can search through different channels and watch the latest new briefs in English or Japanese. Check out the latest developments on NHK WORLD TV's live channel. In the meantime, we're still wondering why YouTube hasn't offered the same service.